Neutral is hard to parse simply because everyone has a different idea of what the term means and what constitutes neutral play. At its most basic, neutral refers to the moments in fighting game matches when neither player is at an advantage or disadvantage in terms of positioning, spacing, or momentum. Another core concept known as ‘footsies’—a back-and-forth tug-of-war—is a common sight in neutral, but it’s also possible to play footsies outside this state, like when one player has been backed into a corner. An experienced fighting game player might not be able to completely spell out the definition, but they can typically tell when they enter and exit neutral against their opponent. Spectators don’t have the benefit of perceiving momentum in the same way competitors do, but we got a rare glimpse of what neutral feels like in one of Combo Breaker’s Dragon Ball FighterZ quarterfinal matches. Eduardo “HookGangGod” Deno and Ryo “Dogura” Nozaki are considered among the best players in the world, but neither was prepared to wrap up their weekend, making for a high-energy match from the start. In their first game, HookGangGod and Dogura found themselves whittled down to a final character (Dragon Ball FighterZ competitors start with three characters each), and that’s when the intense neutral game set in. An intricate dance of attacks and strategic movement followed as both players tried to find an opening. In addition to fishing for strikes, HookGangGod and Dogura did their best to remain in the air to simplify defense by removing the high-low ground game (known as ‘chicken blocking’). The situation is especially dangerous for Dogura thanks to his low health and HookGangGod’s usage of Sparking, which considerably increases a character’s offensive potential. Neutral moments are a common in Dragon Ball FighterZ due to the way it handles incoming characters. Unlike Marvel vs. Capcom, which allows players to move and set up offense after defeating an opponent’s character and waiting for the next one to enter the battlefield, Dragon Ball essentially resets the match, returning both characters to the middle of the stage separated by a set distance. Just like at the start of a match, there is no inherent advantage for either player, which makes these situations fertile ground for neutral play. The competitors kept up this tense back-and-forth for almost a minute, during which Dogura countered multiple Dragon Rush attempts from HookGangGod. As the closest thing Dragon Ball FighterZ has to a traditional throw, Dragon Rushes—signified by the flash of green around the player using it and a flurry of blows between characters—have a nine-frame (or .15 seconds) window where they can be broken by the defender. Dogura was able to avoid a sure death from these Dragon Rushes four times in total until finally succumbing to a mid-air punish that secured the game for HookGangGod. 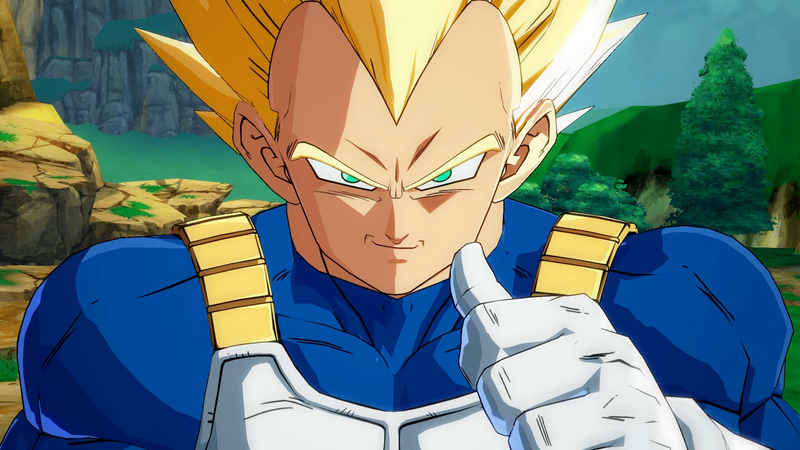 A core part of learning how to play games like Dragon Ball FighterZ at a basic level is being able to dissect the action on-screen and strategize on the fly. Very rarely are situations as simple and clear as this one, and that’s what made it so exciting: everyone was on the same page and breathless as they waited for that final hit.